The first proxy-resignature, privacy preserving, credit reputation and payments network for business. proxy re-signing cryptography not available on any other payment chain today. 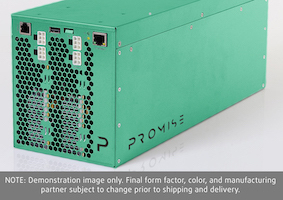 Sign up for the Promise Miner Pre-Sale! The first batch of miners sold will be the most profitable. Don't miss out!